Do You Need Automatic Gate Repair San Jose California? Automatic Gate Company San Jose, California. Automatic Gate Masters is the premier company for electric gate repair in San Jose Area. We service homes, commercial facilities and industrial complexes. 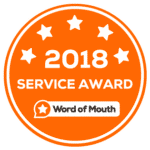 Management companies big and small use our repair service daily because they know we’ll do the job right the first time and on time. Our local presence allows us to move out quickly and be at your location within very short time to install, fix or break your automatic gate. Gate repair service is available day or night. 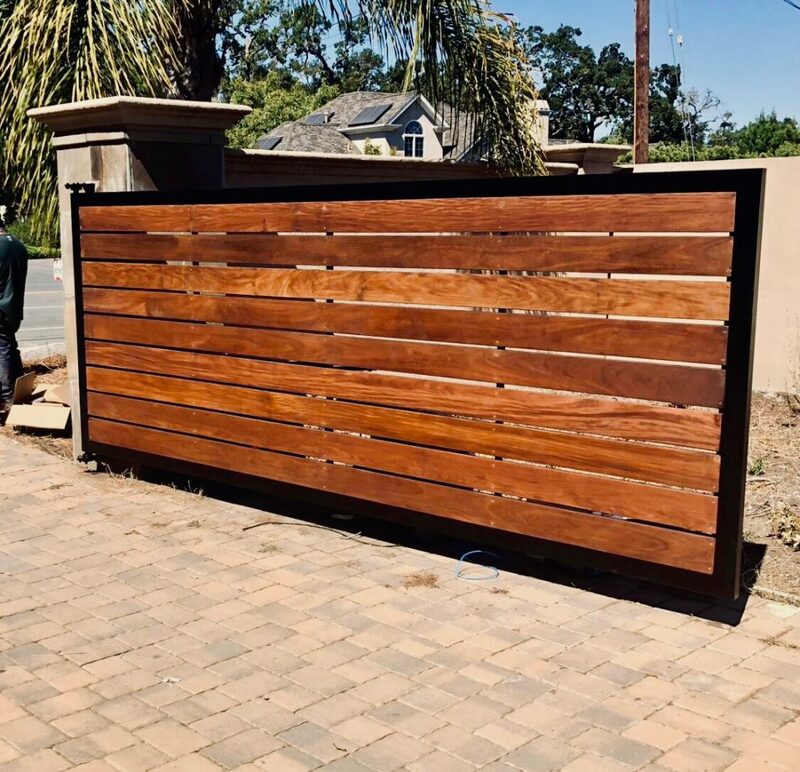 For the last 10 years Gate Masters been serving San Jose area with different gate services such as gate installation, fence, automatic gate openers and electric gate repair service. As the leading Automatic Gate Repair Company in San Jose, We are locally owned and operated with a wide range of electric gate openers and gate operators repair services to approach the most complicated situations. When you are stuck in your car trying to get in or out of your driveway and your electric gate is not working, Gate Masters are here to help you. The basic premise of gate operators is that you simply press a button and your gates will open and close automatically. You can consider us as your automatic gate openers installers in San Jose. It doesn’t get more simple and convenient than that. In addition, our gate operators offers an added measure of security for those looking to safeguard their properties. You will find our gate operators in use all over San Jose. We installing them for both residential and commercial security gates. Fabricates decorative/ornamental gates and chain link industrial gates. Gate automation will get you more conveniency to get the gate controlled by remote or for instance a keypad. They are the most popular type of gate in use today. The motors/gate openers are powered by electricity but also have safety measures such as battery backup in case of a power surge. However we also specialize in solar gate system installation! Finding a good San Jose gate company to install and maintain your automatic gate should include several considerations. First and foremost pick a company that is local. If your gate contractor is nearby, this will enable you to get your gate serviced as soon as possible. In the San Jose area there are many gate owners. They provide a beautiful finish to the exterior look of properties. You will also want to get a San Jose gate company that is licensed, bonded, and insured. 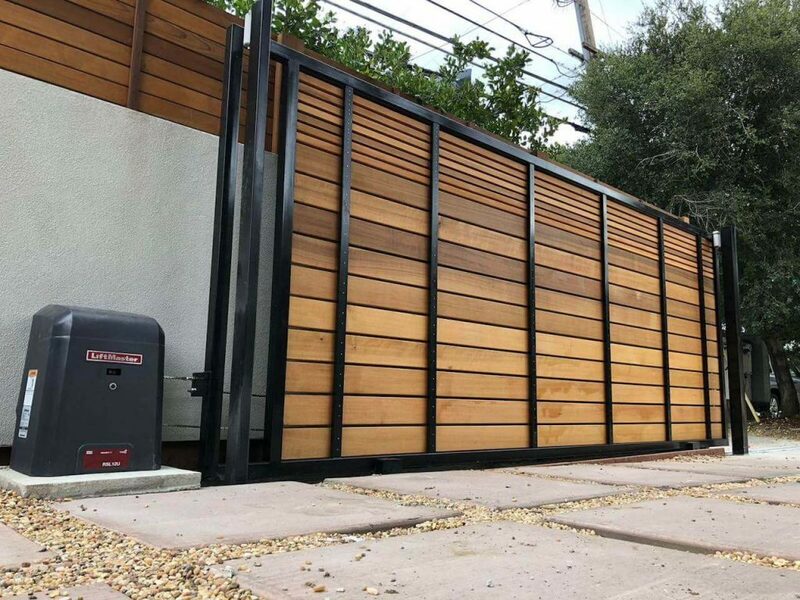 The protection of your property in San Jose goes far beyond installing a gate. You must be sure anyone you invite onto your property, gate contractors included. It is also a mark of a professional and trusted company that will give you the best service available for your new gate. Installing a gate in San Jose will keep unwanted visitors away as well as making your property look sharp and knit. Your property requires the best in landscaping and exterior look. A gate in your driveway is the upscale way to provide both security and high class look. San Jose gate installation needs to be done by a trusted company to ensure that you get the service you need. 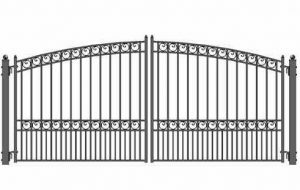 You have a choice of several types of gates as well as custom gates so you can fabricate your own unique gate. There are many choices for upgrading your gate to be automatic gate check our gate openers selection. However select a company that gives you many options for design, automation, and maintenance. A gate company that is available for service 24/7 is important in case you have a stuck gate after hours. You can even team up with the contractor to create your perfect, unique gate. Furthermore you can upgrade your gate installation with Intercoms, Video Intercoms, Keypads, Telephone Entry System, etc. to you with 3-7 years warranty. Your security gate will open when you want it to. You have many options when it comes to your gate opener. It can be for example a simple gate opener, or a more advanced version that uses your telephone to open the gate. You can also have keypad for opening the gate. No doubt a keypad is a popular option since it provides extra security since the access is granted only for those who have the right code. Gate Masters provides driveway gate repair for many years in San Jose area so you can trust our established company. We have immense experience and the best technical support for all types of gate openers services. 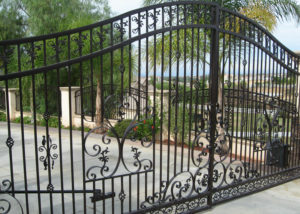 Whenever the gate doesn't close right or refuses to open, you can call us for same day automatic gate repair San Jose. A skilled crew will troubleshoot and fix your driveway gate as soon as possible. 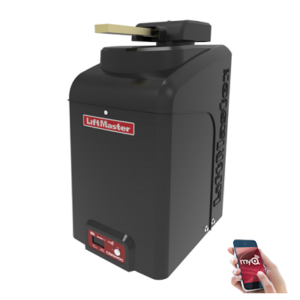 Further more we are knowledgeable, familiar with all brands such as LiftMaster Elite Gate openers. Our Gate opener repair tech will make your life easier by responding fast to addressing problems right away. Maintenance service and checks on every component are performed with honesty. Metal gates can be less expensive than wooden gates, are easy to maintain, strong and secure. Wrought iron gates can be pretty heavy to open however large set of manual driveway gates may be heavier than you think. This problem can be overcome if you choose to automate your gates, which will provide you easy access to your property. Wrought iron gates improve your security. As a metal product, strength is integral to the material – your property will be secured behind a set of well fitted driveway or garden gates. When it comes to designs, a great gate maker will be able to offer you designs to match your vision. Seen something you’d like to replicate? 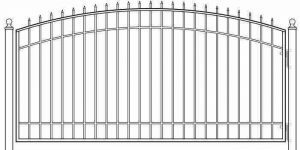 Perhaps a beautiful set of traditional styled wrought iron gates, or a modern gates design; your gate installer should be able to fabricate a similar design from wrought iron. On the other hand, if you’re not sure what gate you’d like. our installers will have many examples of previous projects to inspire you and will guide you to select your perfect gate. Wrought iron gates San Jose usually have an open style, allowing you to see between the bars. This does however mean others can see into your property, which may be detrimental to your privacy. 1. Can't I just install the gate and opener myself? Installing an automatic driveway gate in San Jose CA is not a job we would recommend for anyone but an expeert. The installation process is far more complicated than most people would expect. It's involved with some very in-depth understanding. The gate opening systems can be complicated to program.That will be the difference between a safe gate and a non working gate. or worse, a hazard for you and your loved ones. 2. What are my options for how the gate opens? Automatic driveway gates come in one of 3 different designs. These are : Sliding, Swing, and Dual Openers. Which one you need depends on the terrain around the area where the gate willl be installed. This is something you and your contractor should discuess at lthe time of your consultation. Many choose the sliding gate openers for their driveways because cars will be parked right inside the gates on the driveway. A swinging gate would not be suitable for a driveway gate because cars would have to be parked far enough out of the way to keep from getting hit by the swinging gate. 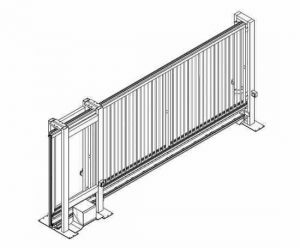 The main issue sliding gates face is that they tend to have a higher instance of problems because they have many moving parts. The dual swing gates open like a set of french doors. 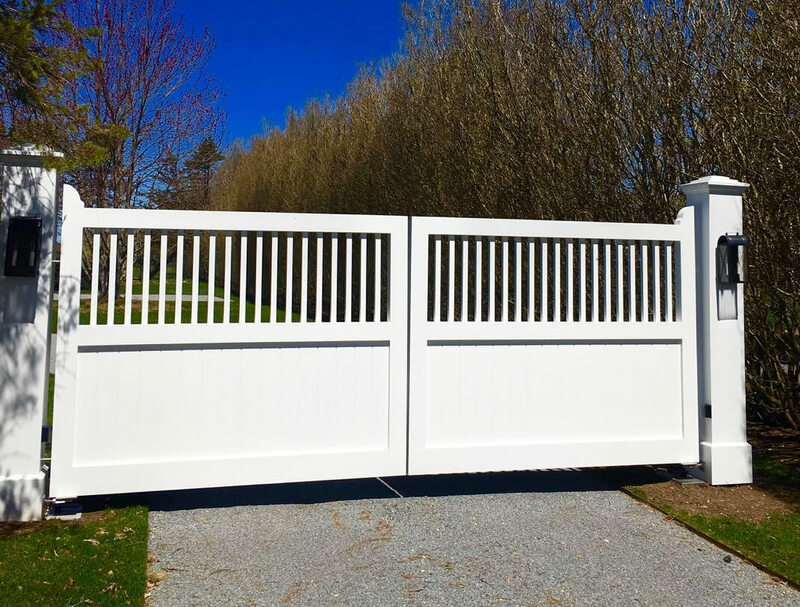 Since the length of the open gate is cut in half, it is often times easier to have this type of gate for residential driveways. 3.How will I trigger the gate to open or close? This is a matter of personal preference- and heavily depends on the amount of traffic. The amount of security you are seeking from your automatic driveway gate. For the most part other than manual operation, you have 3 options for entry systems. Telephone entry systems are likely the most common type of security system installed for driveway gates. With a telephone entry system, each user has an access code. They insert the access code into the keypad which we will install near the driveway gate. A telephone entry system is an electronic system designed for granting or denying an access. They can be portable or mounted permanently in buildings and vehicles. These systems can incorporate connections to telephones, cell phones and computers with a cloud web browser. Usually paired with a telephone entry system. these systems require either a pre-programmed remote or a card in order to enter the premises. Underground Loop Sensor: This is the option with the least security, but the most convenience. This opening system uses a magnetic sensor to detect a car driving over it. Once a car is driving over it, the gate will open. 4. What kind of maintenance is involved? Deal with Pests: Snails and slugs can destroy a circuit board in short order. The slime trails they leave behind become highly conductive with even the most minuscule amount of moisture.Spider webs with even the slightest bit of moisture on them can also conduct electricity and damage a gate’s circuit board. And bee’s nests and ant hills can rapidly corrode gate opener circuitry. Lubricate all moving parts quarterly: And it cannot be stressed enough- NEVER use wd-40 to lubricate the chains inside of your gate mechanism- despite popular belief, WD-40 is a cleaning agent, not a lubricant. Instead, use white lithium grease. 5. What type of material is best to use? This is another question that depends on both the intended use of the space, and your own personal budget and style requirements. 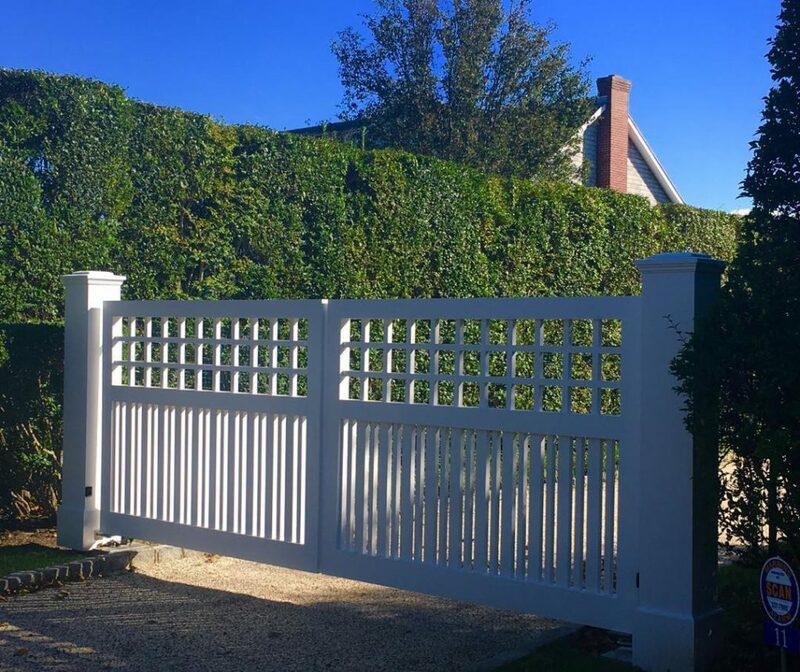 There are pros and con's to every materiall- you can read more about the pros and cons of various gate materials at our blog. Your main choices would have be between wood, steel, vinyl or wrought iron. 6. Are there any safety features? 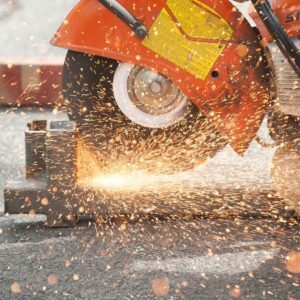 Through new, recent litigation, simply having a "reverse" function (which causes the gate to reverse direction when it comes into contact with an immovable object, after applying a small amount of pressure) is not enough. The industry standard is to have at least two safety features installed with every automatic gate. We talked about the 1st safety feature- which is that reverse function. Now, in order to comply with state or regional laws,- automatic driveway gates must have an additional feature- most often times a "photo beam" which is basically an infrared beam low to the ground, and if that beam is interrupted, the gate should stop and reverse. There are a few other safety options available- but the reverse function and photobeams are the norm. 7. What if the gate stops working? Well- If you get your driveway gate installed by us, you're in luck. Repair service: Our experienced technicians will repair your slide, swing or overhead gate, garage door or telephone entry system. Call today 650-560-4646. Our Service Charge for repairs, during regular business hours is $75.00. After Hours Service Charge is $125.00 and Late Night Service Charge (after 9pm) is $195.00. During regular business hours only, Service Charge would be applied towards the cost of repair. Contact us for a free over the phone estimate. If you didnt have your gates installed by us, then you should contact the installation company. Never try to manually push open a stuck, or malfunctioning gate. 8. How long does a gate last before it needs to be replaced? In all likely hood- you will face problems with the opener long before the doors are damaged. Typical lifespan of automatic driveway gate openers is about 10years- with 1-2 small repairs needed in the interem. 10. How long will it take for them to install the gate? Generally speaking, if the process runs smoothly, it takes between 3-5 hrs to install a driveway gate. This, of course, does not include off site fabrication time, or transportation. The larger the project, the longer it takes- however- most automatic driveway installations take an afternoon from start to finnish. In addition to emergency repairs, we also offer preventative maintenance packages, which help to eliminate most problems before they start. Whatever the work you need, whether is gate opener repair or gate installation. 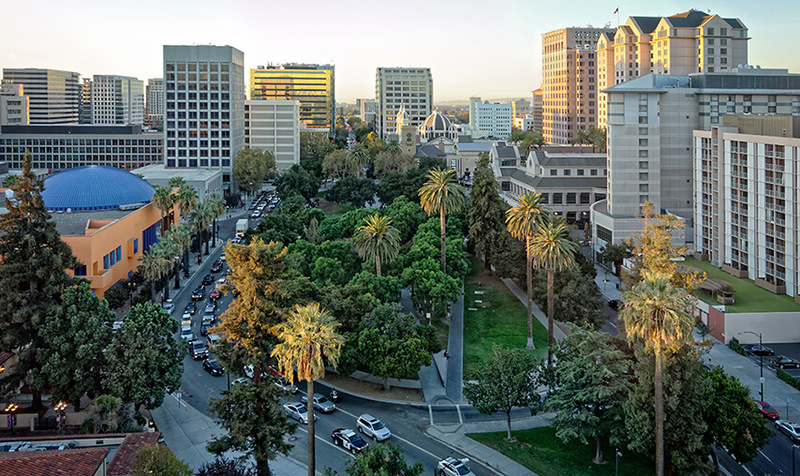 We are locally owned and operated in San Jose take tremendous pride in the work we do. There's no need to look anywhere else for gate repair San Jose services. Call us now at (669) 258-3050. Call us today at (669) 258-3050 in order to set an appointment for a Free Estimate or Automatic Gate Repair San Jose.